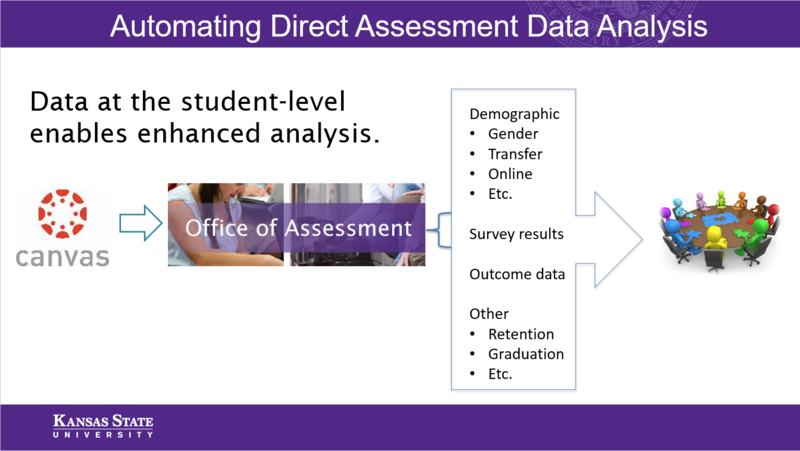 New tools available to programs can facilitate collection, management, and analysis of direct assessment data. With these new tools, it is now possible for faculty to assess direct student demonstrations of learning as part of the regular grading process. Data collected in this way can then be automatically analyzed and delivered to those in the program responsible for assessment. When fully implemented, this process has the potential to reduce the amount of time spent on process, and afford programs additional opportunities to use assessment data to guide improvements.